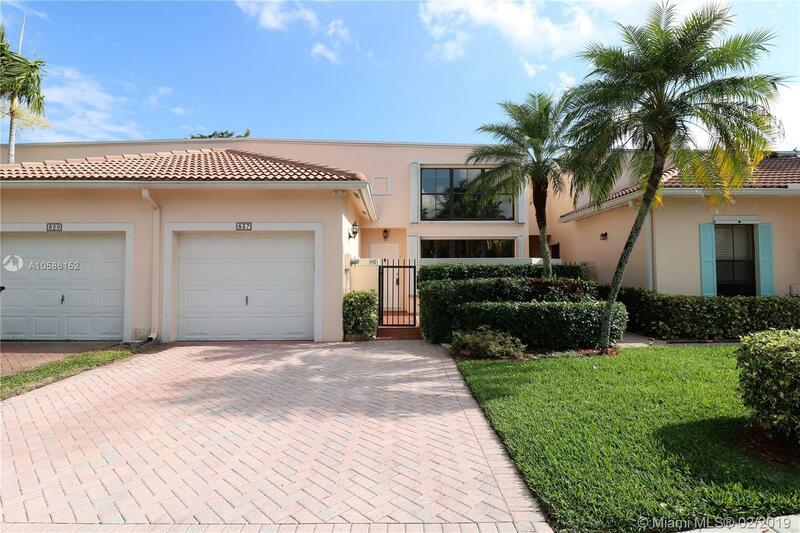 837 SW 158th Terrace #837, Pembroke Pines, FL.| MLS# A10586152 | Susan J Penn l Best Agent l Buy & Sell South Florida Homes! Great central location Pembroke Pines just west of I-75, impeccable townhouse in sought after golf community, 3 bedrooms, 2 1/2 bath, vaulted ceilings living dining rooms, updated kitchen stainless steel appliances and granite counters, family room, master bedroom on ground floor crown molding and plantation shutters, 1 car garage plus driveway space for two vehicles, interior freshly painted, new carpet upstairs, roof replaced, newer central air conditioner, glass enclosed back porch, open patio with pavers, on golf course with lake view, accordion shutters, courtyard, maintenance includes lawn, sprinkler, exterior paint, pressure cleaning roof driveway and sidewalk, reserves, cabana with pool and spa, 24-hour guard at the gate and rover patrol, tv cable, alarm monitoring. Must see it! Directions: I-75 To Pines Blvd West, Turn Left On Grand Palms Drive, Pass Guard Gate, Turn Right On Royal Palm Drive (Third Right), Continue To The End Of The Road Into Las Verdes, On SW 158 Terrace Turn Right (Second Right) To Property On Your Left End Of The Road.